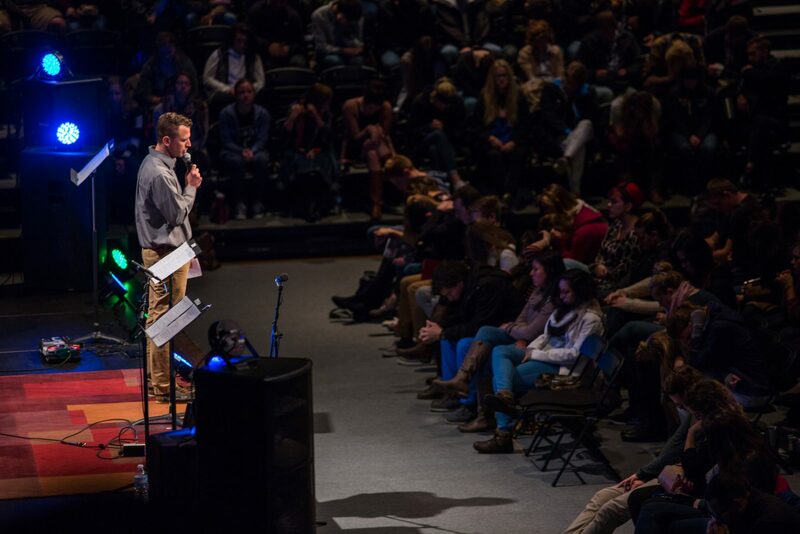 Brent Mencarelli, dean of chapel at Grace College, speaks to students during a recent chapel service. Grace College will welcome several notable speakers to its campus this month, including Dr. Lydia Dugdale, Dan Allen, and Kondo Simfukwe. The community is also invited to participate in Day of Worship on Nov. 1. All Grace College chapels are free and open to the public. They take place on Tuesday, Thursday, and Friday mornings from 10:30 – 11:20 a.m. in the Manahan Orthopaedic Capital Center (MOCC), 610 Wooster Rd., Winona Lake, Ind. Pastor Dan Allen will speak on Friday, Oct. 19. Allen is the senior pastor of Ashland Grace Church in Ashland, Ohio, and a member of the Grace College and Seminary Board of Trustees. Pastor Kondo Simfukwe will speak on Friday, Oct. 26. Simfukwe is the lead pastor of Mission Point Community Church in Warsaw, Ind. Mencarelli is personally looking forward to a special guest on Day of Worship. “It will be great to hear from former Dean of Chapel Carlos Tellez. 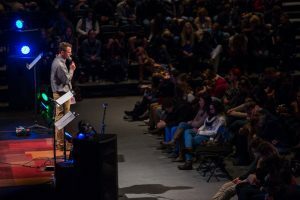 He will speak about his recent experience church-planting in Atlanta during chapel.” The one-day event will also feature times of worship, reflection, and prayer. For more information about Grace College chapels and the complete schedule of speakers, please visit grace.edu/chapel/.